Last month, the Steering Committee held its first conference call meeting of the year. We discussed the Network’s recent achievements and evolution. This is an exciting moment for the Talloires Network as Engaged Members, regional network partners, and students are coming together to design and launch new collaborative projects. Steering Committee student representative, Mapendo Mindje, recently launched Global Community Partners at the University of Rwanda. This collaborative effort builds on the success of the Youth Economic Participation Initiative by further engaging university staff and students in community-based projects that enhance the wellbeing of the Rwandan society. Mapendo represented the Network at the Mastercard Foundation’s Young Africa Works Strategy Launch held in Kigali, Rwanda. 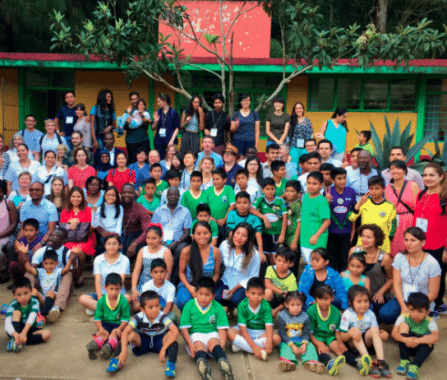 At Tufts University, a group of graduate students are working in partnership with faculty, staff, and students at Universidad Veracruzana (Mexico) and University of Ghana (Ghana) to document and raise the visibility of the university civic engagement movement. Their collaborative crowdfunding project entitled “Linking Universities with Communities” seeks to expand the reach and resources of the Network. I invite you to watch the short film they have created, make a modest contribution, and share the campaign with your networks. In closing, I would like to thank the Engaged Members who have submitted nominations for the 2018 MacJannet Prize for Global Citizenship. The annual prize recognizes and provides financial support for innovative student-led community engagement programs. An international selection committee will soon review nominations. The winners will be announced in June. ‘Linking Universities with Communities’ is a project led by a group of graduate seminar students at Tufts University. Throughout the semester, they interacted with engaged faculty and students at Universidad Veracruzana (Mexico), University of Ghana (Ghana), Walter Sisulu University (South Africa) and Universidad Austral de Chile (Chile). Together, they challenged the idea of the ivory tower and explored innovative strategies for linking universities with communities to address pressing social issues and strengthen civil society. You may watch their short film here. Please support their campaign and the Talloires Network by making a modest contribution. Global Community Partners was founded with a vision to create a prosperous Rwandan community by bringing together the efforts of faculty and students from University of Rwanda (UR) to address challenges facing Rwandan communities. Leadership, access to education, and community livelihoods are the three pillars that frame the work of Global Community Partners. The Global Community Partners assesses community challenges and develops community outreach programs while making UR students agents of global community change. Learn more. The International Association for Research on Service-Learning and Community Engagement (IARSLCE) is seeking nominations for candidates to serve on the Board of Directors. Board members are elected by the membership and are charged with providing vision and direction for the Association. Nominations are due April 20. Learn more. The Global University Network for Innovation (GUNi) is calling for submissions on cases of excellence and good practices in integration between humanities, sciences and technology for their upcoming conference. Learn more. The “21st International Service-Learning Conference” will be held on the 23rd and 24th of August 2018 at the Faculty of Economics at the University of Buenos Aires in Buenos Aires, Argentina. Learn more. 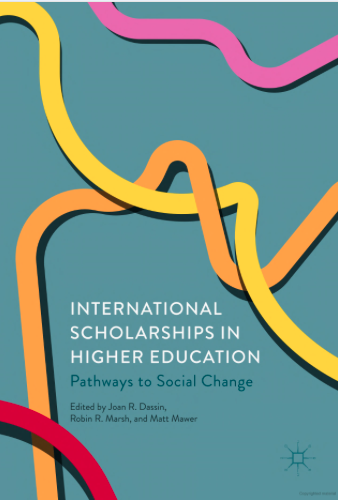 This book explores the multiple pathways from scholarships for international study to positive social change. It brings together studies from academic researchers, evaluators and program designers and policymakers from Africa, Asia, Latin and North America, Europe, and Australia. The book compiles the latest research and analysis on the policy, practice, and outcomes of international scholarship programs. Learn more. Charles Sturt University (CSU) is collaborating with businesses and the community to explore the various ways to create meaningful impact on local and global levels. CSU is also working to support the expansion of small- and medium-sized enterprises that promote the social good. Learn more. Every year, Tufts University and the Tisch College of Civic Life organize a Presidential Symposium on community partnerships aimed at bringing together researchers, practitioners and community partners to discuss ways to address local challenges. This year’s theme, With Communities, For Communities: The Promise of Engaged Research, was attended by more than 100 community partners. Read President Monaco’s speech here. Membership in the Talloires Network signals an institutional commitment to the ideals of university community engagement, social service and responsibility, international collaboration and local collective action to address pressing problems. Engaged Membership comes with a variety of benefits such as participating in collaborative writing and research projects, international workshops, a fee waiver to apply for the Carnegie Community Engagement Classification International pilot and many more. Learn more about Engaged Membership.